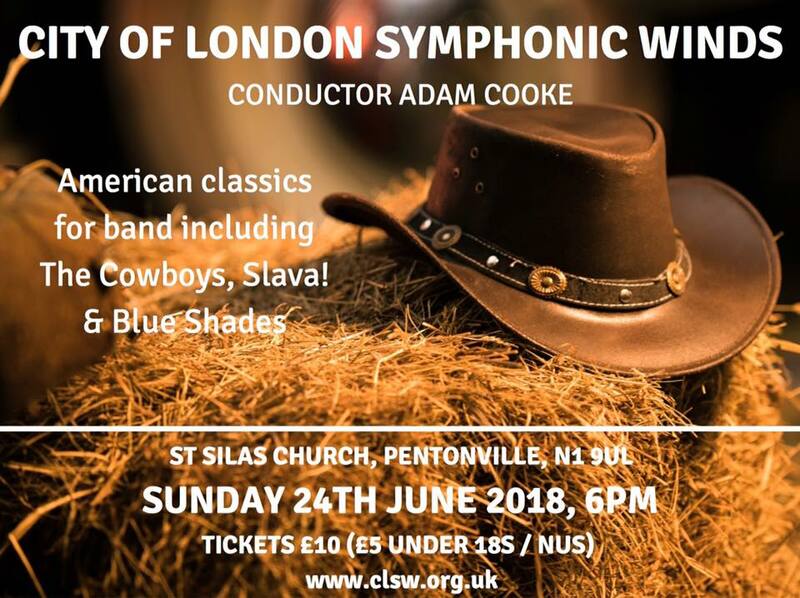 City of London Symphonic Winds, under the baton of Adam Cooke, perform an enjoyable selection of American classics for band, including The Cowboys, Slava! (Bernstein) and Blue Shades (Frank Ticheli). The programme also includes Dusk (Bryant) and Tulsa (Gillis) and will feature David Quinlan performing Warren Barker’s Concerto for Trumpet. City of London Symphonic Winds and conductor Adam Cooke present a varied afternoon concert of American classics for band including Warren Barker’s Concerto for Cornet, Flugelhorn and Trumpet performed by soloist David Quinlan.